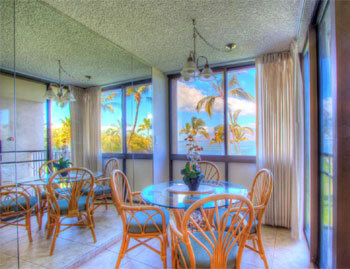 Kihei Surfside Maui condos for rent are exquisite Maui vacation rentals that are located directly oceanfront Maui's southern sunny side in the little beach town known as South Kihei. 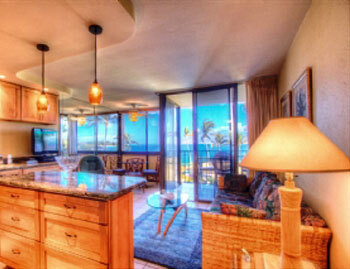 Kihei Surfside Resort pronounced (key-hey surfside) condos are affordable well-appointed, boutique-style Maui Rentals. 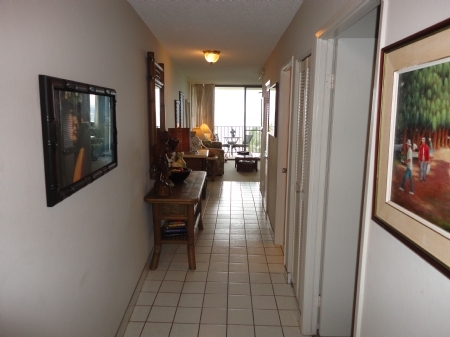 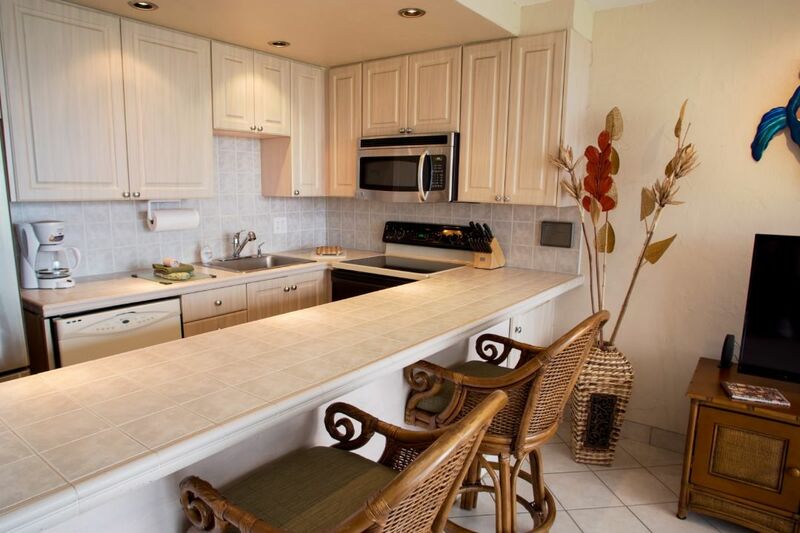 The Kihei Surfside Resort is a direct oceanfront Maui Condo complex directly next to a beautiful beach. 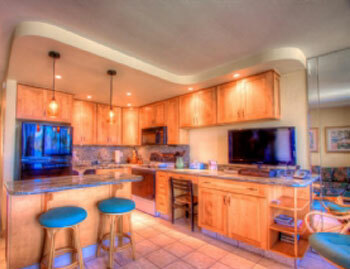 The Kihei Surfside borders the luxurious town of Wailea at the end of South Kihei Road. 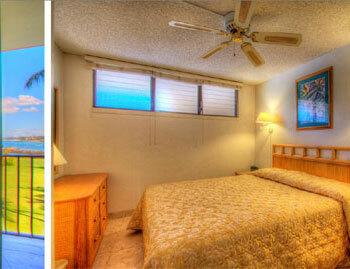 The Maui Kihei Surfside Maui vacation rentals are only steps away from the golden luxurious sands of Keawakapu Beach. 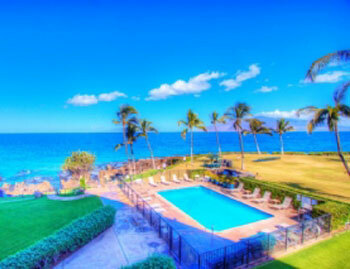 The beach is wonderful for swimming & snorkeling. 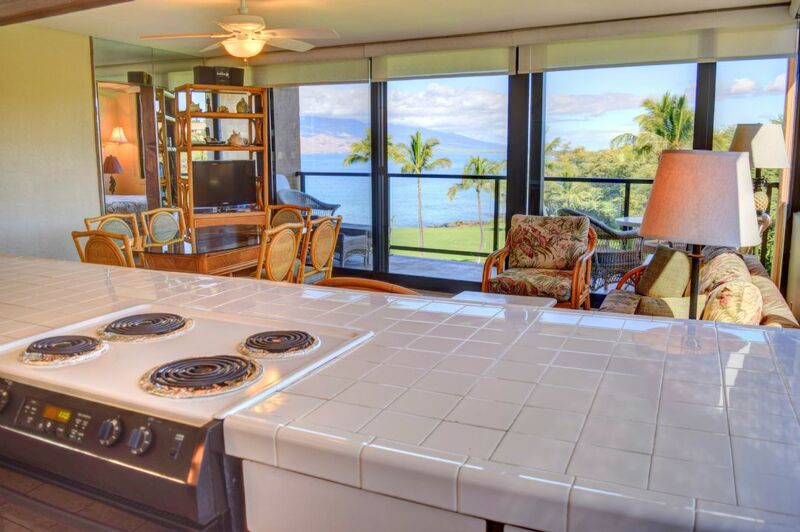 Each of the condos feature beautiful oceanfront views featuring prime Maui sunsets. 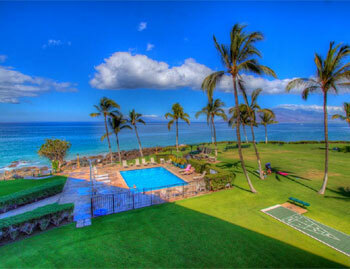 There is a sparkling heated oceanfront Maui pool and gorgeous lawn area to sunbathe or use the putting green. 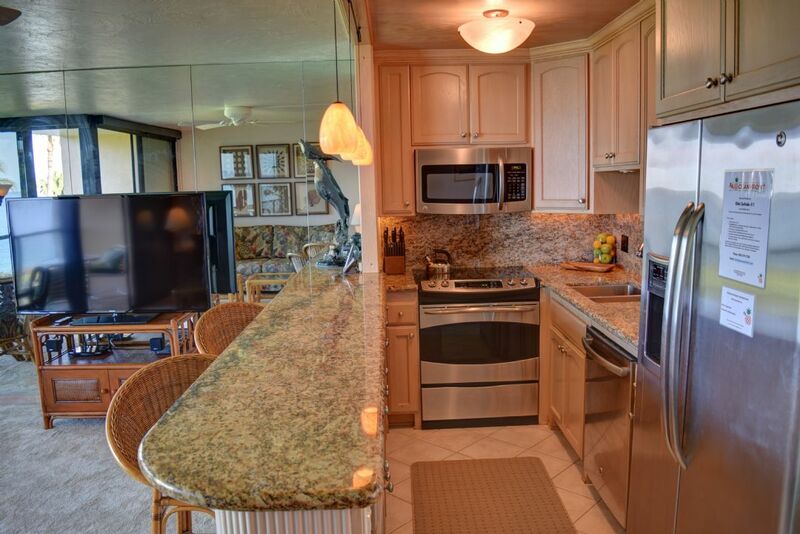 The Kihei Surfside Property is directly door to the Mana Kai Resort and the award-winning, Five Palms Restaurant.